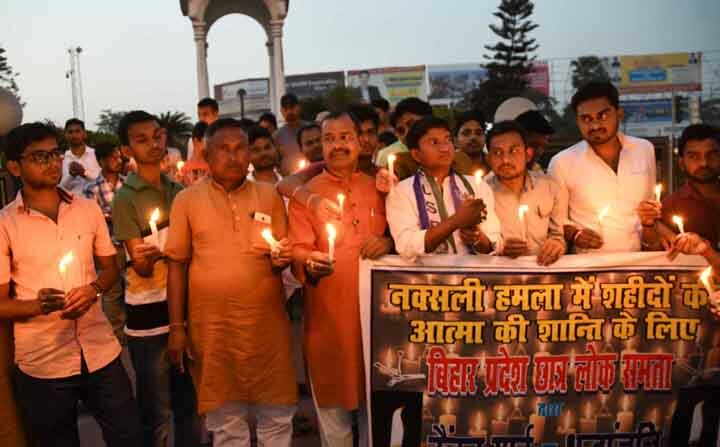 Patna: Students wings of different political parties took out candle light march on Wednesday to pay tributes to CRPF jawans who killed in Maoists attack on Monday in Sukma forest of Chhattisgarh. 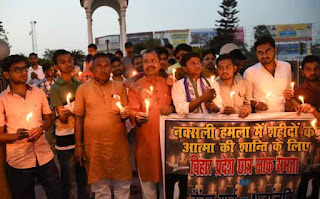 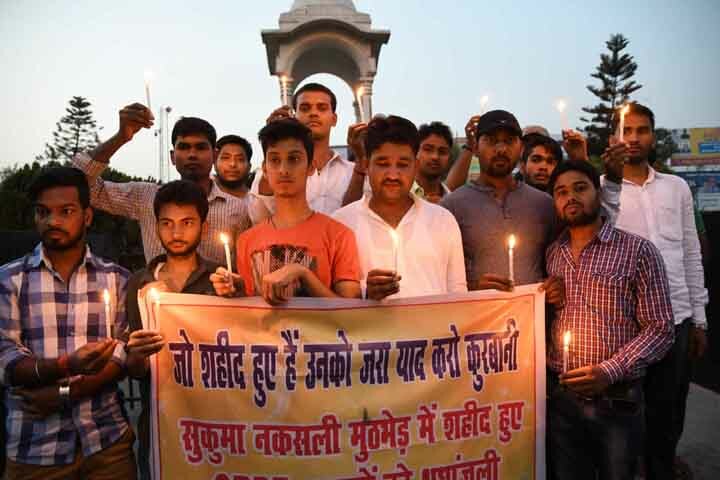 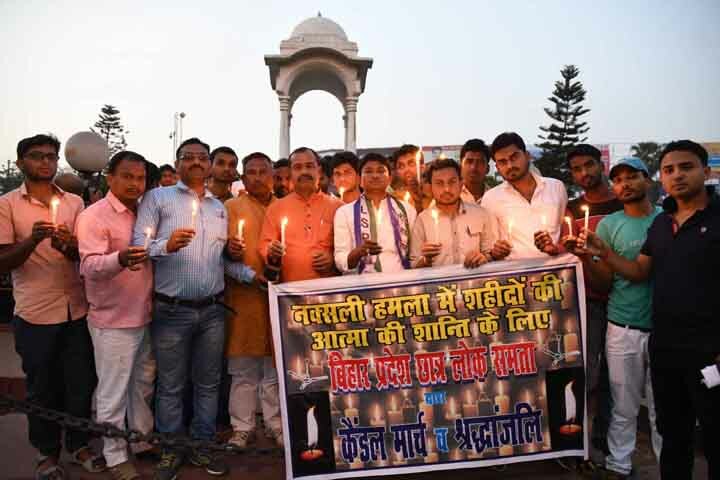 Chharta JD(U) and Bihar Pradesh Chhatra Lok Samata members gathered at Kargil Chowk with burning candle in their hand to pay tributes to Sukma martyrs. 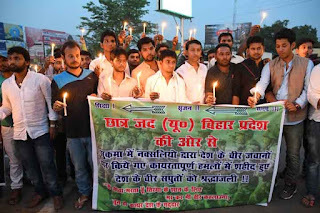 They shouted slogans against Naxals and demanded quick action against the Red terror.